After a record-setting sales year in 2014, it’s hard to image the Silver American Eagle breaking its best-ever sales year again. In keeping with the record demand for the Silver Eagle though, the program broke another record in 2015. The Silver American Eagle sold a total of 47.2 million coins in 2015. 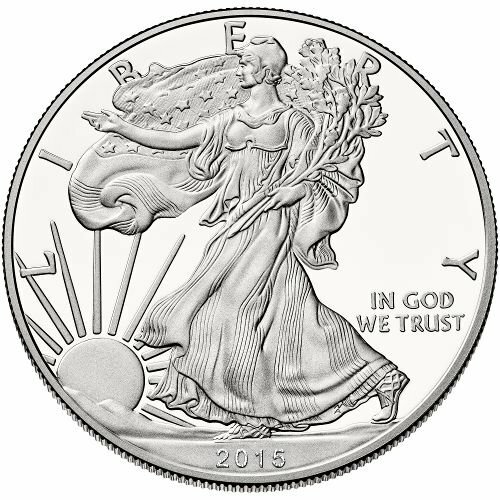 Right now, the 2015-W Proof Silver American Eagle coin is available for purchase on Silver.com. 29th striking of the Silver American Eagle proof coin! At first it didn’t appear as though the Silver American Eagle was on pace to set another sales record. The 2015 bullion version of the coin went on sales January 12th, with the US Mint instituting its standard allocation program amid continued insatiable demand for the coins. Opening day sales reached 2.95 million coins, which was down slightly from the record-setting year of 2014. However, by the end of January, bullion sales reached 5.53 million coins, exceeding the first month from 2014. By the end of the year, 2015 Silver American Eagle coins had surpassed the record with 47.2 million coins. 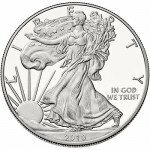 The 2015-W Proof Silver American Eagle started the year strong as well, going on sale three weeks earlier than the prior year. This was a shocking change from the US Mint, which had released the bullion coins for sale first in recent years. 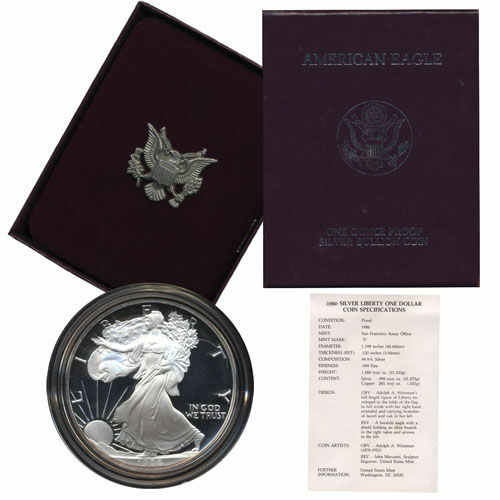 Sales of the Proof Silver American Eagle during the opening period were 262,377 coins, which was down from the more than 300,000 specimens sold during the same period in 2014. 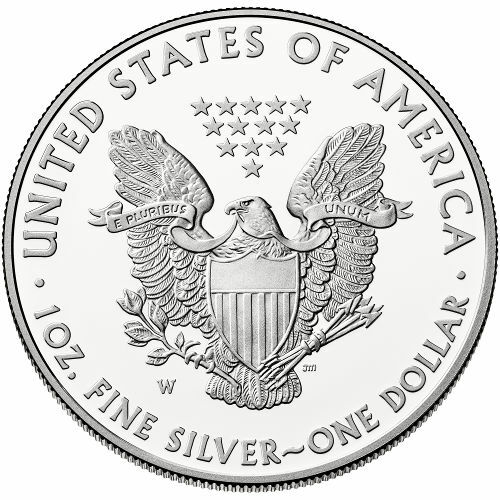 On the obverse of the Silver American Eagle is Adolph A. Weinman’s Walking Liberty design, which was created originally in 1916. US Mint Chief Engraver (1986-2010) John Mercanti designed the modern version of the heraldic eagle used on the reverse. Amid sky-high demand for the coins, the West Point Mint strikes all three versions of the Silver American Eagle. However, in 2015, the San Francisco Mint assisted in the production of bullion versions. If you have questions, please feel free to contact Silver.com at 888-989-7223. You can also chat with us live online or email us with your inquiries.